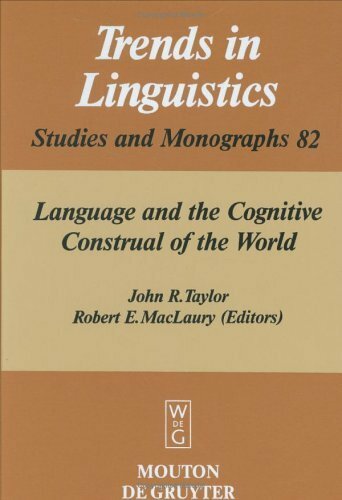 Essential reading for undergraduate linguistics students, this is the first text to draw together all the important aspects of both cognitive semantics and syntax. 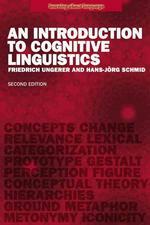 It includes original proposals for a cognitive theory of word-formation and cognitive hierarchies. These notes describe an evolving personal view of developments in cognitive semantics over the past two decades. They are written for discussions and from the perspective of how these developments impact my work on the semantics of geographic information. They summarize some of my limited knowledge of the works of Ron Langacker, George Lakoff, Mark Johnson, Anna Wierzbicka, Peter Gärdenfors, Mark Turner, Gilles Fauconnier, John Taylor, Len Talmy, and others, as I think they relate to (geographic) information science. No attempt is made at a complete coverage of these authors’ ideas about cognitive semantics. For example, I leave out the notion of virtuality (or fictiveness), which is a central theme in the works of Langacker, Talmy, and others. The spotlights on some findings of cognitive linguistics and semantics are meant to point readers to some key ideas. These ideas, more often than not, provide different foundations (and opportunities) for work on information semantics in databases, user interfaces, interoperability, and related areas. Many of them have previously been applied to information science by Joseph Goguen and others (see, for example,  and ). My paraphrasings, hopefully, do not depart too far from the original ideas, though they often simplify them. The interpretations and applications are normally mine, and may often be strenuous (or even wrong) from a cognitive linguist’s point of view - not to mention that of a traditional linguist. Many subtleties are ignored or glossed over, for lack of space, understanding, perceived need, or a combination of these factors. More reading could have answered some of the questions raised, or shown some of my suggestions to be untenable. I am grateful if these blind spots are pointed out to me. A remark on the style: While writing, I realized that I was influenced by the narrative, personal style of Douglas Hofstadter’s Le Ton Beau de Marot [ASIN: 0465086454], which I am re-reading in parallel. This may or may not serve the purpose of these notes, depending on your taste. But it is an (inapt) reference to the person whose first major oeuvre, Gödel, Escher, Bach [ASIN:4826900252], made me choose an information science topic for my PhD (over geodesy, in which I got my first graduate degree). In turn, I see Hofstadter’s Ton Beau, which is all about translation, as a confirmation of my believe that semantic interoperability of information systems, which is also all about translation, is both a fascinating and tractable problem. Actually, the best thing you can do now is to ignore these amateurish notes, and retreat for at least a week each with the two Hofstadter books, in case you have not read them already. If books can change your lives at all, each of these two probably will. "Spoken words are symbols of mental experience and written words are symbols of spoken words. Just as all men have not the same writing, so all men have not the same speech sounds, but the mental experience, which these directly symbolize, are the same for all, as also are those things of which our experiences are the images." ◎ Seeing it in more than one way. ◎ Possession and possessive constructions. ◎ What lack needs to have: A study in the cognitive semantics of privation. ◎ The construal of cause: The case of cause prepositions. ◎ Conceptual grammaticalization and prediction. ◎ Metaphors of anger in Japanese. ◎ Looking back at anger: Cultural traditions and metaphorical patterns. ◎ Anger: Its language, conceptualization, and physiology in the light of cross-cultural evidence. ◎ The metaphorical conception of mind: "Mental activity is manipulation"
◎ The terror of Montezuma: Aztec history, vantage theory, and the category of "person"
◎ Selection of Japanese categories during social interaction. ◎ Genus, species, and vantages. ◎ On construing the world of language. 認知言語学とは : What is Cognitive Linguistics?